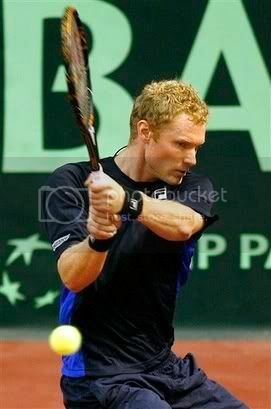 Dmitry Tursunov defeated Ivan Dodig 6-3, 6-2 to win the UNICEF Open 2011 title in ‘s-Hertogenbosch. Tursunov made it back to the winning circle after spending much of the past two years fighting injuries, he underwent three ankle surgeries. The Russian has risen back to No. 70 and will now add 250 ATP Ranking points and €68,850 in prize money. In today's final, Tursunov broke to lead 3-1 before going on to close out the opening set. The match was suspended due to rain at 2-2 in the second set, and when play resumed 75 minutes later, Tursunov romped through the final four games in just 16 minutes to claim victory. Dmitry Tursunov beat Nicolas Mahut 7-6, 3-6, 6-3 to reach the UNICEF Open quarter-finals. Tursunov hit 11 aces to Mahut's 12 and both players saved seven of nine break points. Alex Bogomolov Jr. defeated Filippo Volandri 7-6, 6-2 to join Tursunov in the last eight. Bogomolov Jr. will face Xavier Malisse, who made it past Jesse Huta Galung 7-6, 6-4. The American won 73 per cent of service points. Denis Gremelmayr upset Jarkko Nieminen 7-6, 2-6, 7-6 to progress to the quarter-final for the first time since 2008. Robin Soderling made it past Dmitry Tursunov 7-5 6-1 to set up an Open 13 final encounter with Marin Cilic, who beat Mikhail Youzhny 6-2, 1-6, 7-5, in Marseille. From 5-5 in the first set, the Swede reeled off seven straight games before closing the win. “The first set was close; I wasn’t maybe aggressive enough in the beginning,” said Soderling. “But then in the second set I was a little bit more aggressive, started to play my own game, and then it was much better. Overall I think it was a good match." Soderling is enjoying an eight-match winning streak and is bidding to win three titles in a season for the first time in his career. “It’s true that my start to the year has been quite incredible,” Soderling said. Past Australian Open finalist Marcos Baghdatis talks about his off-season training and his goals for 2011 during the Brisbane International. South Africa's Kevin Anderson is happy with his progress as he prepares to open his 2011 campaign on the ATP World Tour at the Brisbane International. Thiemo de Bakker discusses how he plans to build on his breakthrough 2010 season. 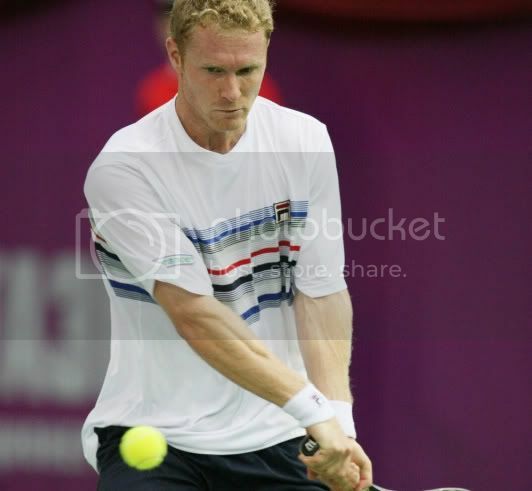 Dmitry Tursunov discusses how he's feeling after undergoing three ankle injuries and his hopes for the 2011 season. Tomas Berdych beat Dmitry Tursunov 7-6 4-6, 6-1 in the second round of the Legg Mason Tennis Classic in Washington and set up a meeting with Andrey Golubev. Tursunov broke his opponent for a 2-0 lead in the opening set, but Berdych broke back in the next game. They kept going on serve until the tie-breaker that the Czech dominated. The Russian got a break in the second set and that was enough for him to win it. In the decider, Berdych broke in the in the second and fourth game for a 5-0 lead and had no problems to finally close the match. Berdych fired 16 aces but had only 48% of first serves. "I was quite struggling with the serve. It's the reason I was playing a long time," Berdych said. "It's about feeling the rhythm of the serve. I was resting a little after Wimbledon, four weeks. I lost a little bit of the rhythm. It's good to get back into matches." Berdych had not felt the pressure of being a top seed at this level until Washington. "It's a nice challenge for me," Berdych said. "It's much more pressure. You need to be ready for it. Everyone is out to beat you and they have nothing to lose because you are the favorite." In season 2, episode 24, ATP World Tour Uncovered joins Russian Dmitry Tursunov on a tour of London during the grass-court season. 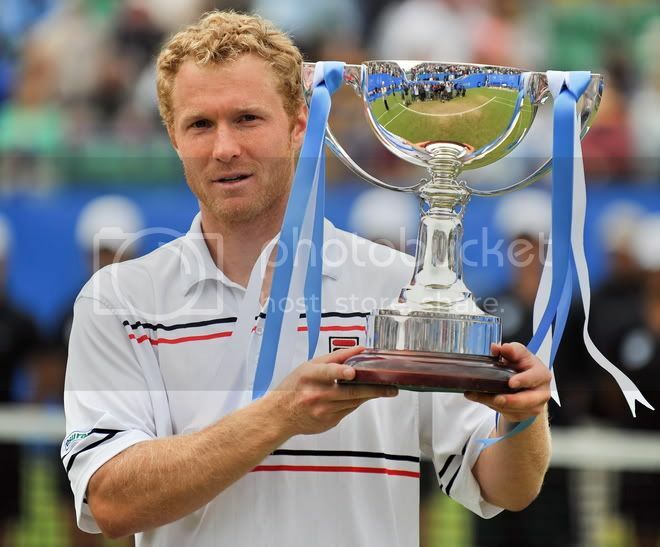 Dmitry Tursunov became the first men’s champion at the Eastbourne International with a 6-3 7-6 win over Canadian qualifier Frank Dancevic on Saturday but suffered an ankle injury that could dent his Wimbledon hopes. The second-seeded Tursunov underwent surgery to remove bone spurs on his ankle six weeks ago but said Saturday’s injury, which was treated by the trainer on court near the end of the final, was something new. “It is a completely different thing, it feels more like a tendon,” Tursunov said. Dancevic, ranked 126 in the world, had beaten top seed Igor Andreev of Russia in the first round and proved a tough opponent for Tursunov on the Devonshire Park grass. A single break settled the first set and only one game in the second set offered any break points after Dancevic hit two double faults, though he then managed to hold serve. Tursunov had his ankle taped before the tiebreak and gave away one matchpoint when Dancevic pushed him into a forehand error after a long rally, but the Russian took victory on his second matchpoint with a winning return. Dmitry Tursunov will face Frank Dancevic in the final of the Eastbourne International after scoring a 6-2 6-2 victory over Guillermo Garcia-Lopez while Dancevic beat Fabrice Santoro 6-4 6-4. The two finalists met two years ago in Dancevic’s only previous ATP Tour final in Indianapolis where the Russian won. Dancevic, ranked 126 in the world, surpassed his own expectations by surviving qualifying after falling and twisting his leg during a match. “I just came here before Wimbledon trying to get a few matches in the qualifiers and here I am in the final. I have had an awesome time this week.” Dancevic said. Santoro has delighted the crowd here with his ability to chase down every ball and his trademark deft touches, which long ago earned him the nickname The Magician. Dancevic had some magic tricks of his own, often winning points at the net in exquisite exchanges. He fought off three breakpoints in a long fourth game, which went eight times to deuce, and took the only break of the first set in the ninth game when Santoro put a backhand in the net. A single break also decided the second set and Dancevic saved a breakpoint as he served for the match before volleying the winning shot on his first matchpoint. Tursunov said the gusting winds in this seaside town had caused problems for all the players. “It was swirly, it was wavy, it was zig-zagging; it had everything that it is not supposed to be when you play tennis. It was definitely not the easiest conditions to play in.” said Tursunov. Nadia Petrova took some time out in Eastbourne to visit the town's historic pier and goof around with fellow Russian native Dmitry Tursunov at a joint photo shoot. 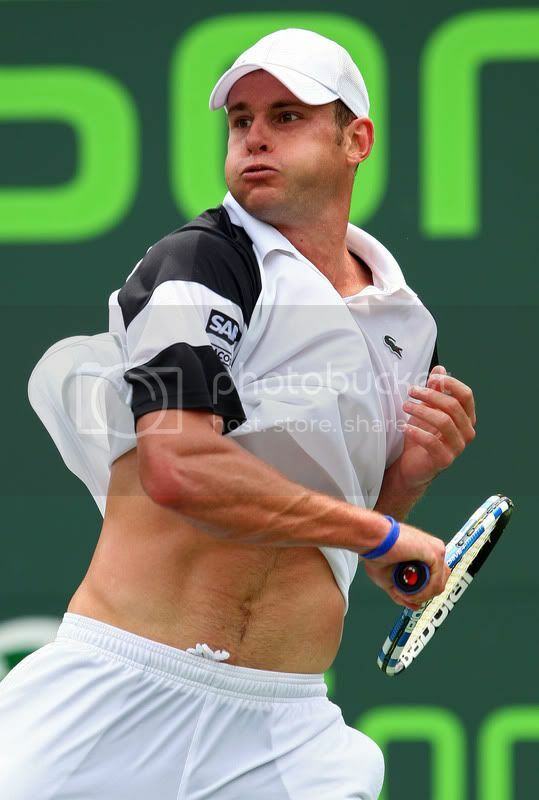 Andy Roddick defeated Dmitry Tursunov 7-6 (9), 6-2 to reach the 4th round of the Sony Ericsson Open in Key Biscayne. Roddick overcame two set points in the tiebreaker, erasing one with an ace and the second when Tursunov netted a forehand, and won the final three points in a 75-minute first set. Roddick finished with 11 aces and faced only one break point. The American expressed his opinions forcibly to chair umpire Norm Chryst without satisfaction as tempers flared briefly on centre court. "I basically was wondering how many more times we were going to play on a slippery court," Roddick said. "He said, 'Well, no one has fallen yet.' I said, 'Well, if that's a barometer, then we have a problem.'" Andy Roddick will meet the winner of the match between Gael Monfils and Marat Safin in the round of 16. Santoro picked up a nice win over the up-and-comer Thomaz Bellucci in the first round. He is one of my favorite players to watch because of his incredible imagination and creativity. If you get a chance, go out and watch him play! Kiefer is a veteran as well, and comes in ranked #29 in the world. He reached the third round at Indian Wells last week before falling to Roddick, and has had good success in Miami in the past, reaching the quarterfinals twice. Santoro is 6-2 against Kiefer in his career with their last match coming at Wimbledon back in 2007. Both guys have been around the tour for a long time now, and know how to win consistently. Kiefer’s career has been a bit up-and-down, but when he is healthy he is a very dangerous player. He moves well, has excellent groundstrokes and for the most part has no real weakness. Santoro is a magician with the ball. Throughout his career he has brought a different style of play, and it is extremely fun to watch. He respects his opponents and is a great example for kids! If the conditions are a little windy (like they have been), then it favors Santoro because of his unusual style and his ability to chip, slice, and move the ball all over the court. Kiefer cannot get frustrated and must stay focused if he wants to have a chance in this match. On paper, Kiefer is the favorite but I’m going with my man Santoro! Monfils comes into the tournament ranked #10 in the world, down from a career high of #9 which he achieved in early March. His best result here came back in 2005 when he reached the fourth round, since then he has yet to get by the second round. Something tells me that may change this year. Russell is a journeyman American who came up with a solid win over Victor Hanescu in the opening round. He had to qualify to get in, and now faces one of the top-ten players in the world. Monfils is 1-0 against Russell, having beaten him in the first round of the 2006 US Open. For entertainment purposes, there is no one more fun to watch then Monfils. He fills the seats, and the fans love him. He is perhaps the most athletic male on the tour, but what he lacks is a great mental focus. I often compare his athleticism to Yannick Noah, but Noah had the brains to go with it. Russell has solid groundstrokes, and is a fighter. He doesn’t give in and will make Monfils work for every point. This should be an entertaining match, but in the end Monfils just has more shots in his repertoire. Rafael Nadal defeated Dmitry Tursunov 6-3 6-3 to reach the fourth round at Indian Wells. The Spaniard clinched victory in one hour and 17 minutes and will play against David Nalbandian next. The world number 1 took time to get into his stride against the Russian but managed to break twice to take the opening set. Tursunov battled hard at the start of the second set to stay on terms but Nadal grabbed the break in the eighth game. The Russian had one break point chance to stay alive but Nadal saved it and then won the next two points to book his place in the last 16. Dmitry Tursunov defeated Victor Hanescu 4-6 5-7 6-3 6-4 6-2 to give Russia an unassailable 3-1 lead over Romania in their first-round tie of the Davis Cup. Russia will take on the winners of the Sweden-Israel tie in the July quarter-finals. Romania were looking to even the score when Hanescu took a two-set lead against the error-prone Russian. 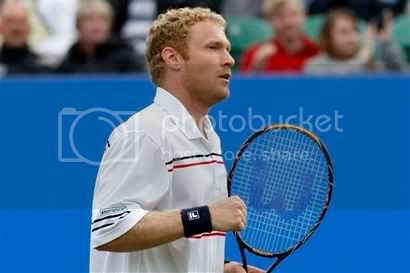 However, Tursunov settled down by the start of the third set and gradually took control of the see-saw encounter. Hanescu finally ran of gas in the fifth set as Tursunov built up a 5-1 lead before comfortably serving out the match after three hours 46 minutes. The Russians had been hot favourites against a team that has only one player, Hanescu, in the world top 100. Safin beat Victor Crivoi 7-6 6-4 6-4 in Friday’s opener and Mikhail Youzhny crushed Hanescu 6-4 6-2 6-4 in the second singles rubber to put the visitors ahead 2-0. The unheralded Marius Copil and Horia Tecau, with a combined doubles ranking of 733, came back from two sets down to shock Safin and Tursunov 4-6 6-7 7-6 7-6 6-4 on Saturday and give the home team their first point. Dmitry Tursunov defeated Teimuraz Gabashvili 3-6 6-2 6-2 in the first round of the Open 13, an ATP World Tour 250 tennis tournament, in Marseilles . Tursunov served 11 aces and converted all five break points he produced in the encounter that lasted one hour and 40 minutes. The Russian will play against the winner of the match between Ivan Ljubicic and Feliciano Lopez in the second round. Other Monday winner was Jan Hernych who defeated Kristof Vliegen of Belgium 6-3 3-6 6-4. Now in the second round he could meet Novak Djokovic. Dmitry Tursunov takes some time to visit a local Kids Crisis Centre in St Petersburg. Dominik Hrbaty upset Dmitry Tursunov 6-1 6-1 in the first round of the St Petersburg Open. 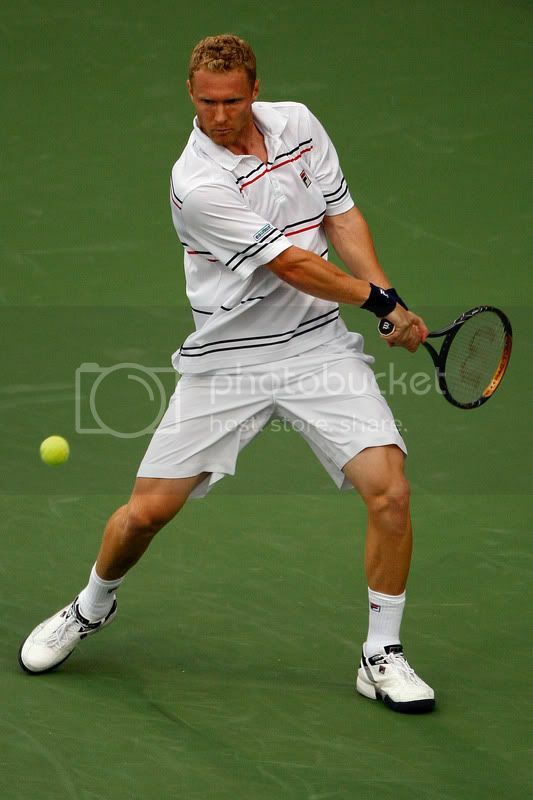 Tursunov was clearly troubled by a painful shoulder, winning only 29 percent of his first serves. The Russian managed to produce 2 aces but he also made 1 doubles fault during the 58 minute match. “I injured my shoulder less than two weeks ago. I had to pull out of the Kremlin Cup, then lost in the first round at the Madrid Masters last week. But I still have problems, especially when I serve. When you have pain it’s hard to fight for victory.” Tursunov said. Dominik Hrbaty will meet Rainer Schuettler in the second round, who defeated Igor Kunitsyn 6-2 6-3. First round action from the St Petersburg Open featuring Dominik Hrbaty and Rainer Schuettler.